Pancreatic Cancer is perhaps the most dreaded of all cancers. The main problem is that it usually takes a long time to cause symptoms. Therefore it has a long time to grow before detection. By that time it has usually spread to other organs or reached a point of what surgeons call inoperable. Soon, such a term will become obsolete as we will be able to grow genetically identical organs in a laboratory for transplantation or replace the pancreas with a mechanism that performs all of its roles. Even if the cancer has grown into major blood vessels (this is the major reason of it becoming inoperable at the present time) we will be capable of replacing these vessels with sophisticated grafts. However, we are still awaiting such advances in surgical and biological technology. Needless to say, pancreatic cancer, at the present time, is still very deadly. It is not as common as other cancers but is perhaps the most deadly of them all. A five year survival rate is around 5 to 10%. Not very high. There is one test that can be done periodically to detect any abnormal growth of this gland, but no doctor in Canada will recommend it since it is too expensive and not a standard procedure in our social health care system. The test is an MRI of the abdominal cavity. I suggest taking this test every five years starting at age 40. To do this, we can either go to the US or look for private clinics in Canada which are popping up more and more (or any other country where there is private care). 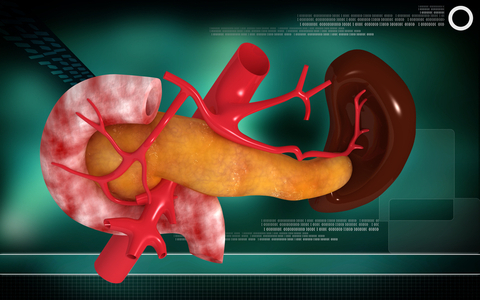 Another option is a procedure where a dye is squirted into the pancreas, followed by CT scans. This procedure is not as sensitive and is much more invasive. The point is that catching this cancer at a very early stage dramatically increases the chances of a complete cure and long term survival. So what causes this dreaded cancer and what can we do to prevent it? Routine MRI scans are one way. The other smart choices are to limit any exposure to carcinogens, especially tobacco smoke and alcohol. The pancreas is very sensitive to alcohol. When excessive alcohol is consumed for a prolonged period of time, it can cause such things as acute pancreatitis (which is actually a medical emergency) and chronic pancreatitis: a less severe but longer-term complication. Any such exposures (including chemicals, pesticides in food and water, paints, etc.) can cause the pancreas to be inflamed. The consequence is a road towards developing diabetes (the pancreas is the organ releasing insulin for blood sugar control), the inability to digest food, and cancer. Another reason why the pancreas is so important is because it is the main organ producing digestive enzymes. Without it, or without supplementing with digestive enzymes, we would not be able to assimilate food. All food would just pass right through the GI tract and we would starve to death. To think about it in other terms, the pancreas is an organ less than the size of an average hand, that constantly, every single day, pumps out insulin, digestive enzymes, and other important hormones such as glucagon and somatostatin. It is no wonder that in middle age, a lot of people suffer from what is commonly called pancreatic exhaustion. This is especially true for people who consume lots of fatty foods (fats require the most enzymes for digestion), refined sugars (again requiring logs of enzymes and insulin) and alcohol (which inflames the pancreas leading to its exhaustion sooner). This type of pancreatic exhaustion and inflammation can, in the long run, lead to diabetes, inability to digest food properly, and through inflammation, even to genetic mutations. Although it was not yet proven if pancreatic exhaustion directly contributes to pancreatic cancer formation, it certainly makes sense from a physiological point of view. Such exhaustion leads to inflammation; inflammation leads to DNA damage and mutations, and such mutations may lead to cancer formation. So what can we do to lessen the burden on this fantastic organ of our body? There are three major ways. 1. Limit refined sugars (such as sugar, sweets, pop, white bread, white pasta etc.) so that the pancreas will not become exhausted by constant spikes in insulin. 2. Also, limit alcohol. If you drink alcohol, allow the body to return to normal balance along with the pancreas. It is actually much healthier to drink more in one evening than less per sitting over consecutive days. The second scenario does not allow the body and the pancreas to heal. 3. The third, perhaps the most overlooked, way to help the pancreas is to supplement with digestive enzymes. GenEssentials by Genesis Today is an excellent choice. It is a rich blend of all-natural plant digestive enzymes that cover all digestive aspects of the body. The pancreas will thank you for these especially when taken with large meals or when consuming alcohol. You will actually feel less bloated and “easier” and “lighter” in the belly area. The pancreas will heal faster and will not be burdened with the digestion of large meals. In the long run, such supplementation will ease the burden on the pancreas and help prevent its exhaustion, preventing an inflammatory state. This may help prevent many medical complications associated with the pancreas, including perhaps even predisposition to cancer formation due to long term inflammation. Categories: Digestive Health | Tags: colon health, digestive enzymes | Permalink.